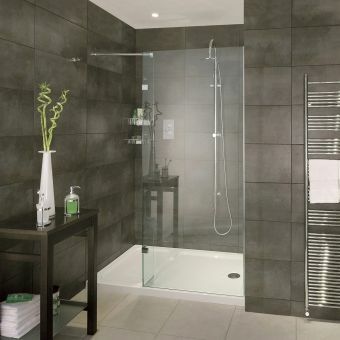 Whether you're installing a wetroom in your home or simply updating your current one, then this is a great product. 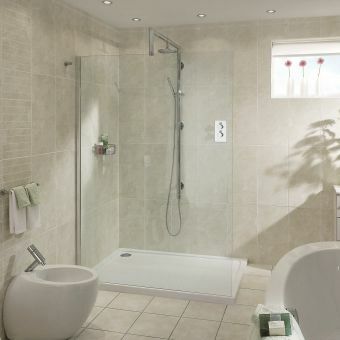 These 8mm wetroom panels are not only superb value but look amazing. They will give you a true designer look that will make spending time in the shower or wetroom enjoyable. Popular optional extras with these panels include floor to ceiling posts and deflector panels. These will allow you to set the panels up just how you want them and make your wetroom look amazing. 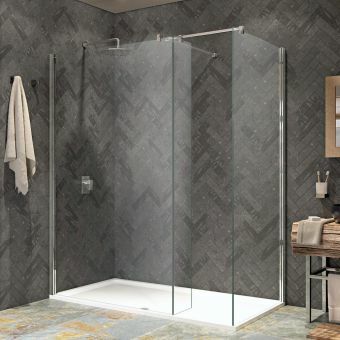 Finished to the same exceptional standard as the panels themselves, these extras will mean you can get the look in your wetroom you've always dreamed of. 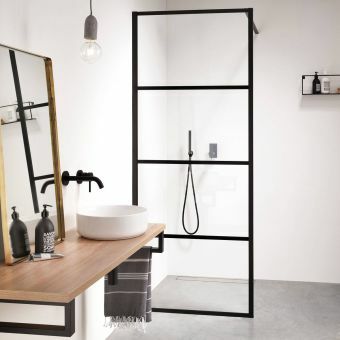 Fast becoming a mainstay of the contemporary living space, the wet room is an attractive and practical alternative to the standard shower. 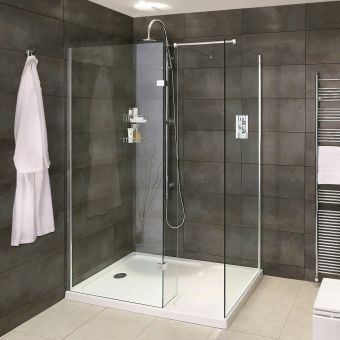 Affordably priced, easy to install and provided in a variety of sizes, the Sommer collection of wetroom arrangements are understandably popular across the spectrum of customers' needs. 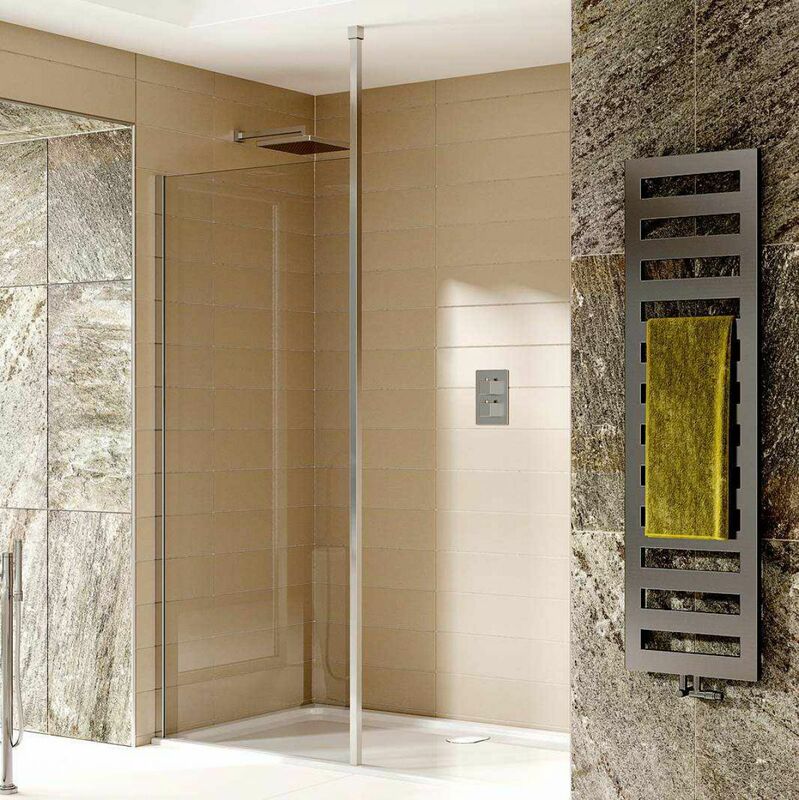 Ranging from 700mm to 1400mm in width, these wetroom panels are affixed to the wall with a bracket finished in gleaming chrome. 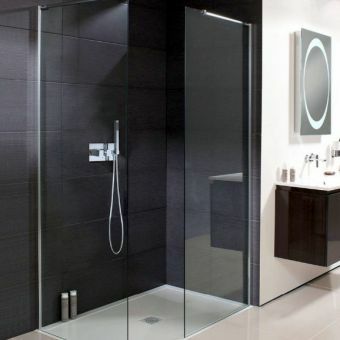 An option for a 300mm wide return panel is an ideal accessory for anyone with a powerful shower spray, wishing to eliminate the splash-back from a vigorous shower. Further options include a ceiling post: measuring a maximum of 2.6 metres in height, give you a solid anchor for the panels. 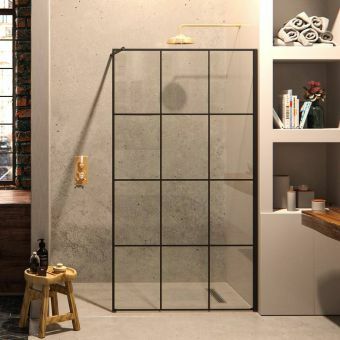 When installed, a striking arrangement of clear, toughened safety glass is created, giving you a spacious and relaxing shower enclosure that you can step into and out of in total comfort.